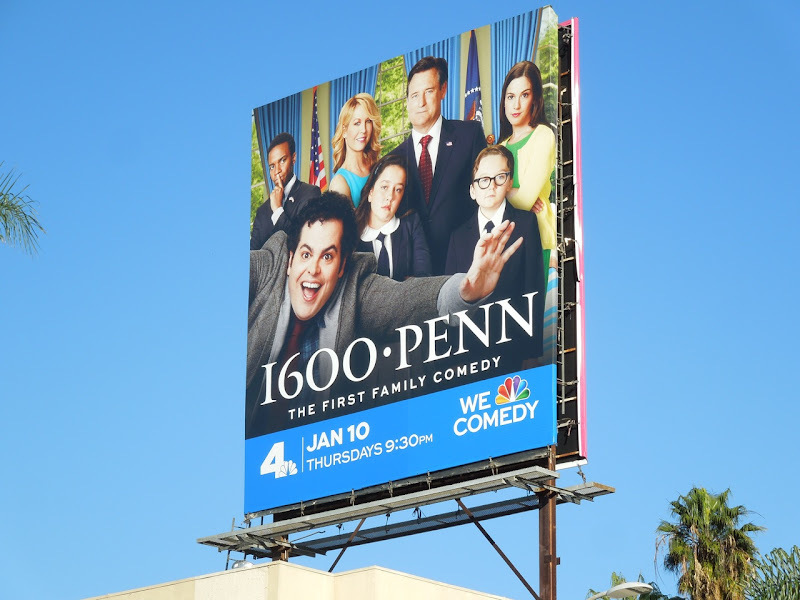 Following the massive comedic failures of NBC's Fall sitcoms Animal Practice and Guys with Kids, it's time to laugh again (hopefully) with the new mid-season replacement, 1600 Penn. 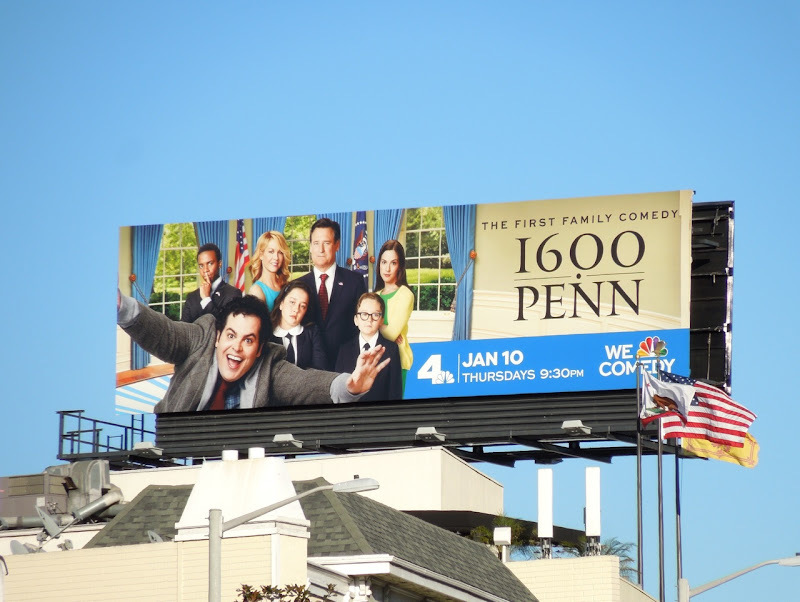 Can this new first family of comedy take on the reigning Modern Family in the TV ratings? 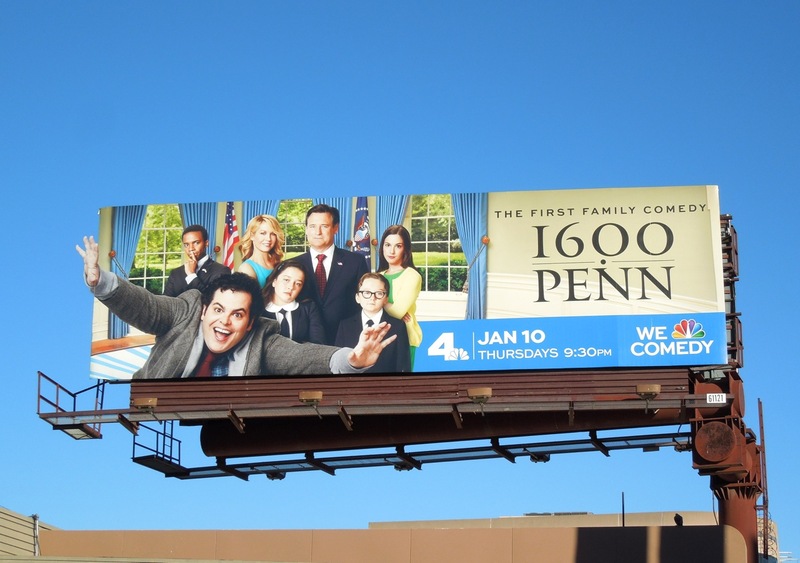 Bill Pullman stars as Head of State and head of the Gilchrist family who live at America's notorious 1600 Pennsylvania Avenue NW, Washington DC. 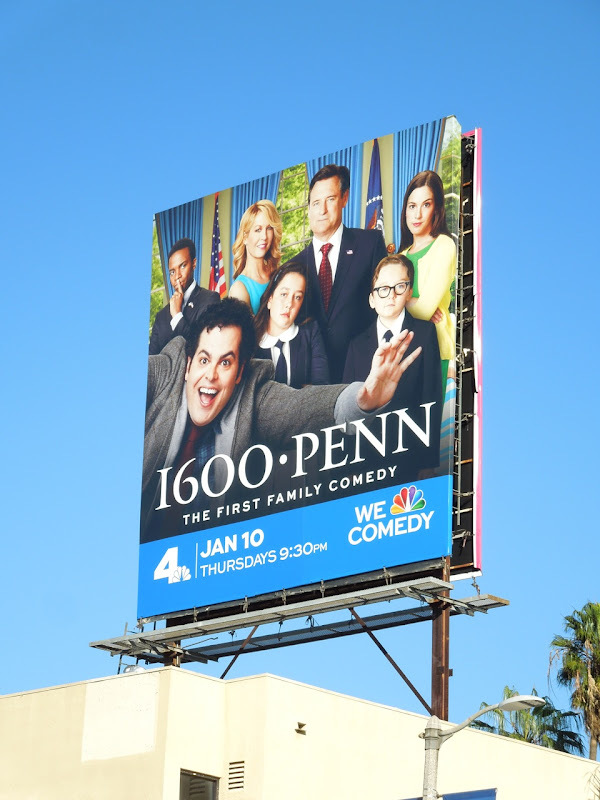 Only time will tell how relatable a family living in the White House will be, but Julia Louis-Dreyfus has recently proven that politics can be extremely funny in her HBO series Veep. 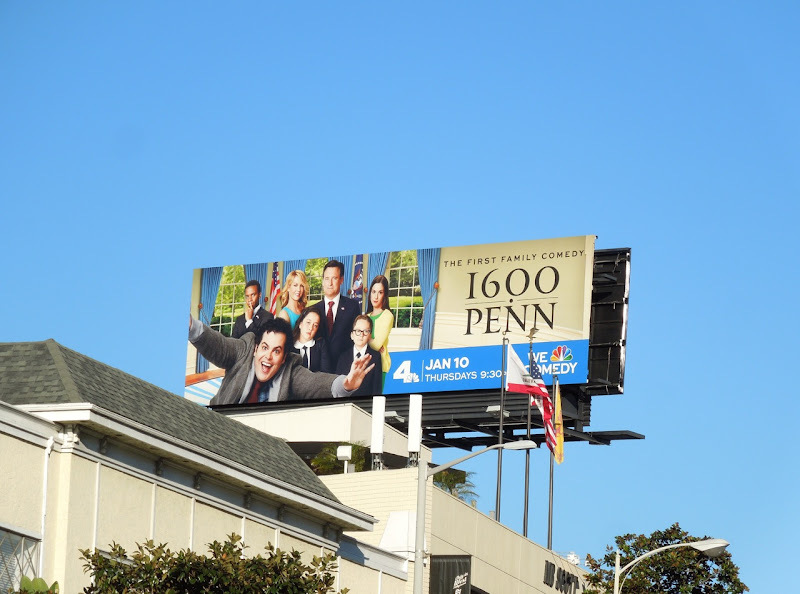 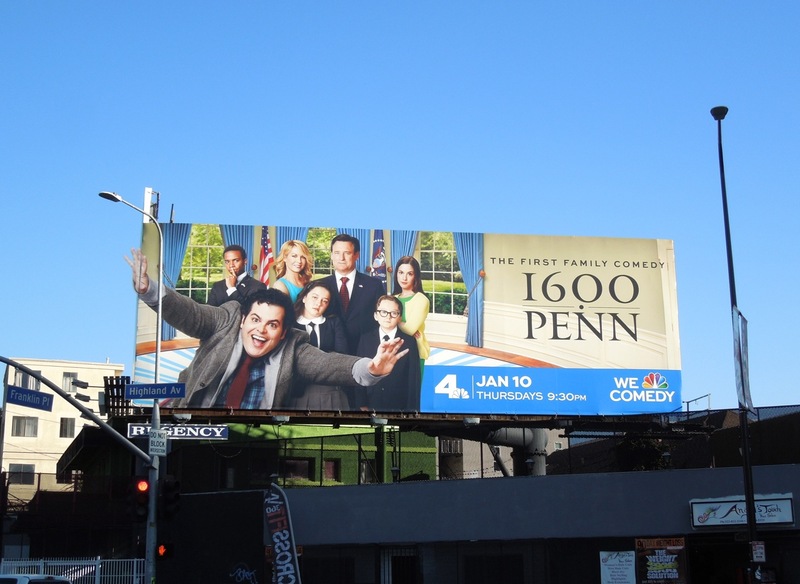 These 1600 Penn billboards were spied along Beverly Boulevard and Sunset Boulevard on December 20, 2012. 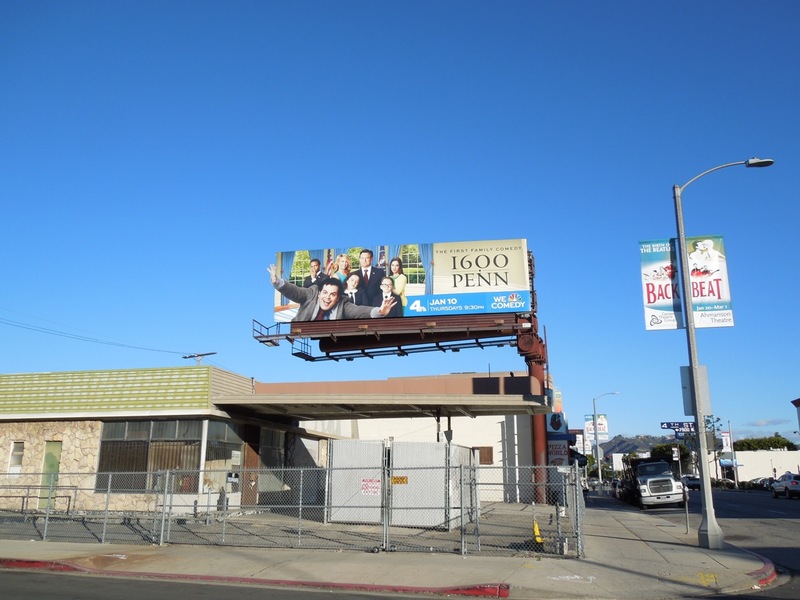 Plus this subtle special extension version was spotted along Highland Avenue at Franklin Avenue on January 4, 2013. 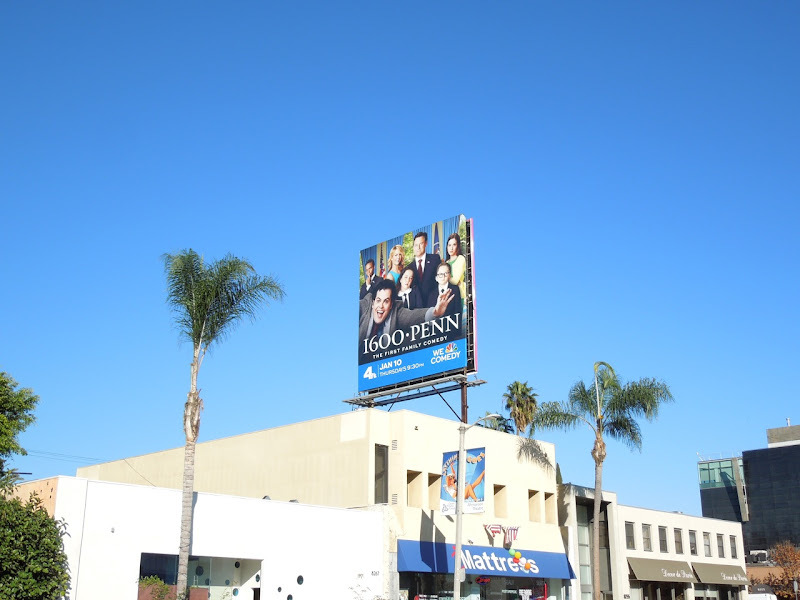 UPDATED: Here's a better look at the special extension billboard for this new political comedy along Fairfax Avenue on January 11, 2013. 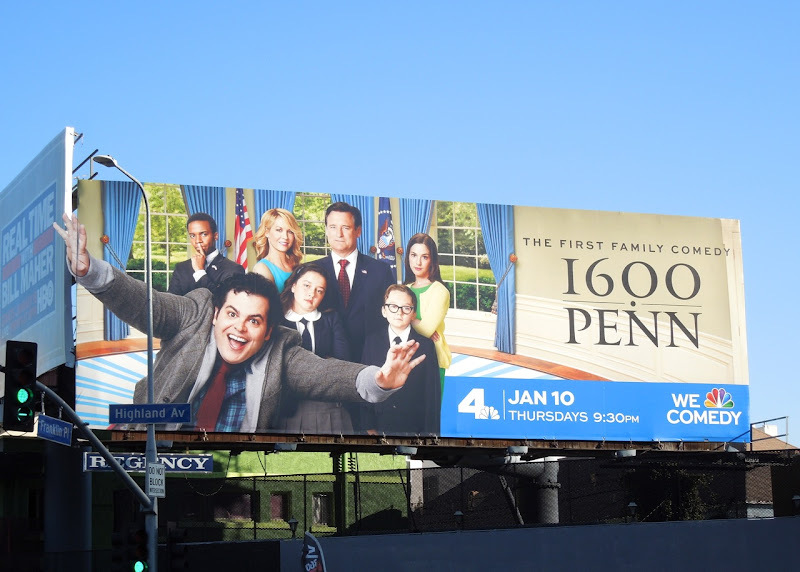 Even though the extension with the hand poking out is subtle, it's still a lot of fun and really does catch your eye.